On the background of the past Lockheed Martin’s presentation, which took place last week with the participation of the U.S. Ambassador to Bulgaria Eric Rubin, and in response to a question whether Eric Rubin’s recommendation to buy F-16, is a an intervention in our domestic affairs, the Defence Minister Karakachanov defined this as advertising and a common practice of the diplomats to support the production of their own states. He pointed out that the behavior of the Swedish Ambassador to Bulgaria Louise Bergholm is similar. Karakachanov stressed on the straightforward framework, adopted by the National Assembly, which does not allow him to succumb to pressure. According to him, the most important is the offered prices to correspond to the spending budget, and above all, the capabilities of the fighters. The price issue is one of the key when selecting a new type of fighter. The expenditure ceiling is BGN 1.8 billion (with VAT), with the government wanting to repay them for the period of ten years. Daniel Boestad, vice president of SAAB, has already announced that their proposal for a new type of fighter meets all Bulgaria’s requirements and it is within the budget, pointing some specific information from their offer. 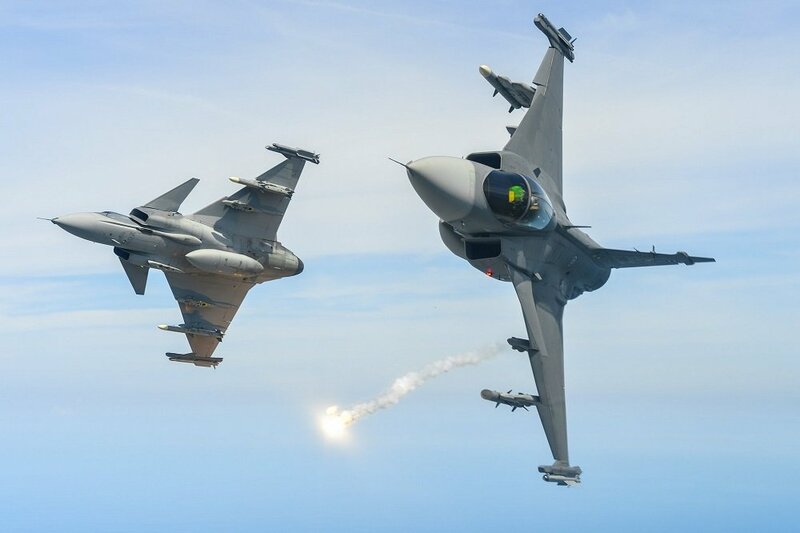 SAAB’s offer includes the supply of 8 Gripen C/D fighters within the budget of BGN 1.8 billion (with VAT). The first 4 to be delivered in the period of two years after signing the contract, which will allow Bulgaria to acquire the full combat capabilities, necessary to be engaged in NATO Air Policing mission, within 24 months of concluding the deal. The training of the pilots is offered to start six months before the first delivery. In addition, the Swedish company offers to build two fully equipped sheds at Graf Ignatievo Air Force Base, as well as a regional fighter maintenance center, which will provide the opportunity to be opened new highly qualified jobs, related to the industrial cooperation, Otbrana.com reported. Earlier, during Lockheed Martin presentation, the Director for the F-16 Program James Robinson hinted that the company finds it difficult to complete the delivery of the first batch within the set timeframe of 24 months after signing a contract. But as the Bulgarian Deputy Minister of Defence Atanas Zapryanov said in one of his interviews, this deadline is subject to further negotiations. The Bulgarian government is currently negotiating with the U.S., Sweden and Italy, aiming to clarify all issues and to improve the bids as much as possible. The Bulgarian Ministry of Defence explained that the deal specific parameters will be negotiated only after the selection of a contractor has been made.